Zena Martin brought a unique international perspective and professional experience to her work with the Junior League of London. A strategic thinker gifted at putting projects into motion, Zena is a champion for diversity and inclusion in both volunteer and professional settings. 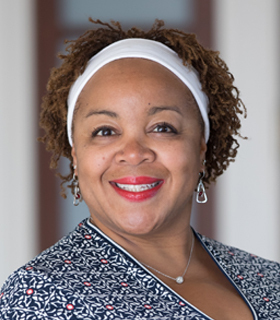 She is an expert in public relations, communications and engaging others, and serves as a key connector for the work being done by The Junior League in the US and the UK. A dual British/American citizen, Zena has played a number of key roles for JLL. She has served as President and President-Elect, leading her League through a successful period of engagement and growth. She has served on the Junior League of London’s Nominating Committee and Placement Committee and is now a Sustaining Member of the Junior League of Savannah, GA.
Zena is passionately involved in a variety of nonprofit organizations outside her work with The Junior League. She is the Former Trustee Board Director for The Scout Association, which is bringing scouting to the 200 most deprived areas in the UK. Zena also is a Fellow of the Royal Society for the Encouragement of Arts, Manufactures and Commerce. Professionally, Zena is a marketing communications consultant for private and public organizations, including Microsoft, Kellogg’s, Tetley, Sky, Channel 4 and BBC Worldwide. She’s held senior positions at Lewis PR, Hill & Knowlton and Firefly Communications, among other well-respected communications concerns. A frequent public speaker, trainer and media pundit on all aspects of communications, Zena has contributed to CIPR, IPRA, PRCA, Thomson Reuters, BBC Radio and London School of Journalism. Zena is a graduate of Amherst College.